As a former bilingual teacher and educator, I spent many hours looking for and researching authentic and engaging bilingual resources to develop my own culturally relevant materials. To be effective, I needed my lessons to be captivating and different. I really wish I had a comprehensive and engaging Spanish program available when I was a bilingual teacher. It would have saved me preparation and planning time, and it would have empowered me and enriched my students. 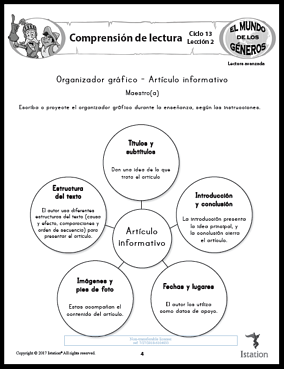 The idea for “The World of Genres” was conceived with the goal of teaching bilingual students the main characteristics of fiction and nonfiction genres in a fun and simple way while developing their critical thinking skills. In “The World of Genres,” students are exposed to a variety of culturally relevant texts when comparing and contrasting characteristics using graphic organizers such as a T-chart and a Venn diagram. 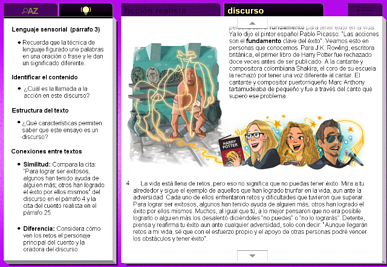 When developing Lectura Avanzada for Istation’s “World of Genres”, my team and I took into consideration our shared experiences as bilingual educators. This helped us develop a unique Spanish product that reflects best practices, is proven to motivate students, and is effective for small-group intervention. In addition to this, we added feedback from experienced bilingual educators from multiple states. Hence, we decided to create “The World of Genres,” comprised of three lands: Land of the Past, Land of the Present, and Land of the Future. We help students gain understanding of 12 different types of genres. In these lessons, students are scaffolded while interacting with a variety of texts that feature concepts from math, science, and social studies. The texts progressively increase in complexity, connecting themes across genres while using text-evidence strategies. In addition, we embedded the modeling of tips and notes in the lessons. Every online lesson provides a reteaching portion that serves as an opportunity to review previously learned skills. The reteach portion uses a simpler nonfiction text, highlighting the genres’ characteristics using specific examples from previously read texts. I thought, What better way than this to prepare, enrich, and motivate our bilingual students and entice them to read? The main purpose of encouraging our students to study genres is to help them learn to use the inquiry approach when reading both fiction and nonfiction texts. The inquiry approach consists of constructing meaning and achieving a deeper understanding of the texts they read (Fountas & Pinnell, 2012). Through “The World of Genres,” we guide them to explore the genres’ main characteristics and encourage them to apply what they learned when thinking and talking about texts. Typically, in the classroom we use several games to engage students with new vocabulary words. So in “The World of Genres,” students acquire new vocabulary by playing games. These games teach the basic parts of a word by asking the students to use definitions, parts of speech, synonyms, antonyms, and sentences that provide context to discover the meaning of unknown words. In each reading selection, students interact with a digital dictionary to define unfamiliar words and learn about word meaning in an explicit and clear way. This tool gives students the opportunity to find the meaning of words by themselves and to become competent word learners. Ultimately, students who are given direct instruction in word meanings are better able to understand unfamiliar words (Beck, Perfetti & McKeown, 1982). Without a doubt, I believe that comprehension of a text depends greatly on the students’ knowledge of vocabulary and the ability to determine meaning using comprehension skills. In “The World of Genres,” we aim to expose students to genres in a genuine way. To this end, the exploratory scenes foster learning by presenting the main characteristics of a genre and allowing students to unveil each one at their own pace. We provide fun and vivid animations along the way, as well as text and audio to bring the concepts to life. In teaching the genres, we feature prominent Latin American figures to teach bilingual students about social themes and concepts that transcend eras. Teacher Directed Lessons (TDLs) are both practical and easy to follow for a new or experienced teacher. They are scripted in simple language to make teachers’ lives easier. Aligned TDLs are a great tool for delivering small-group instruction and intervention. 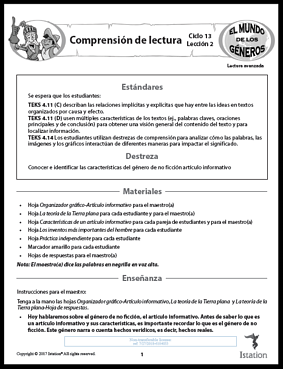 Most importantly, all of these online lessons can also be found in our Teacher Station en Español. I hope that in developing “The World of Genres” we will alleviate some of the frustrations for today’s educators that I experienced as a bilingual teacher. 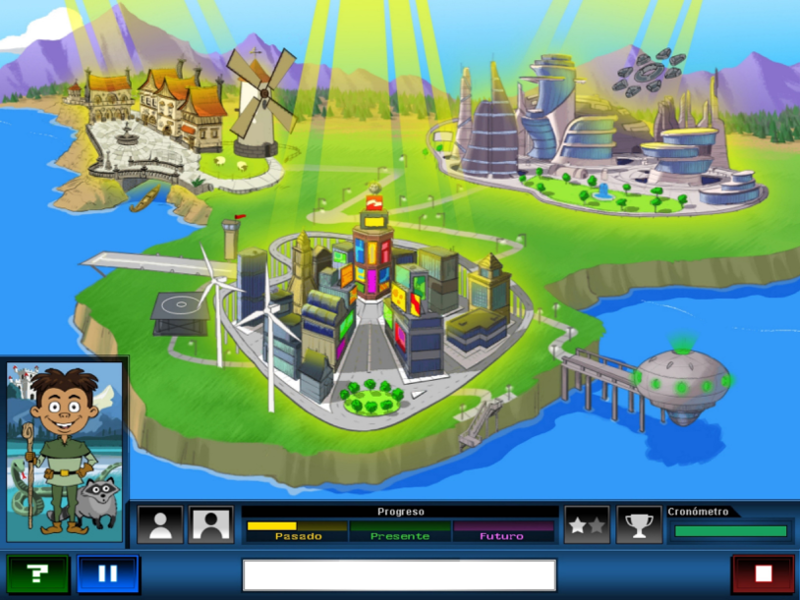 In addressing the need for a comprehensive and engaging Spanish program, I’m more than confident that “The World of Genres” in Istation Español will make a world of difference for educators. Stayed tuned over the next few weeks to continue learning about each land in “The World of Genres” in Istation Español.